MBOX to EML Converter is a fully standalone utility, it assists the users to export MBOX files to EML format. This makes it easy for the users to switch from MBOX supported email application to some other application. However, the tool has the ability to migarte MBOX file of any email application to EML format without any hassle. 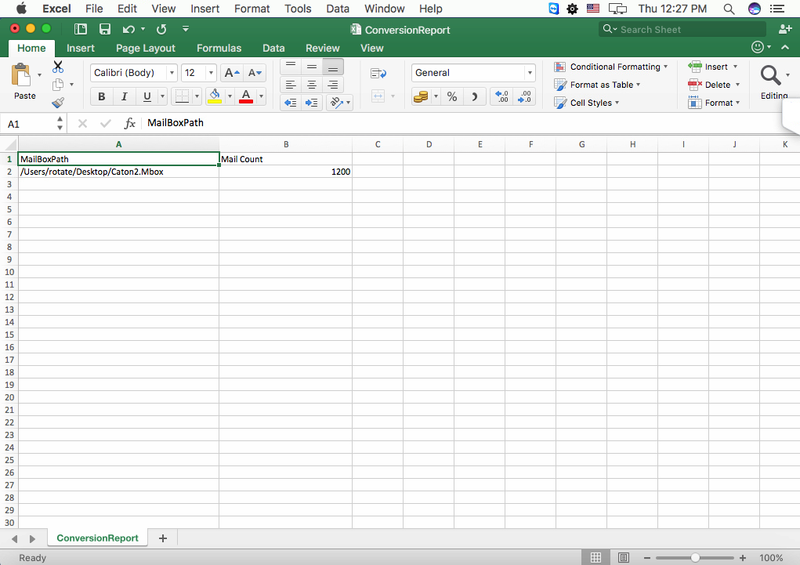 Batch Conversion from MBOX files to EML files. Provides multiple naming convention options to save EML file. 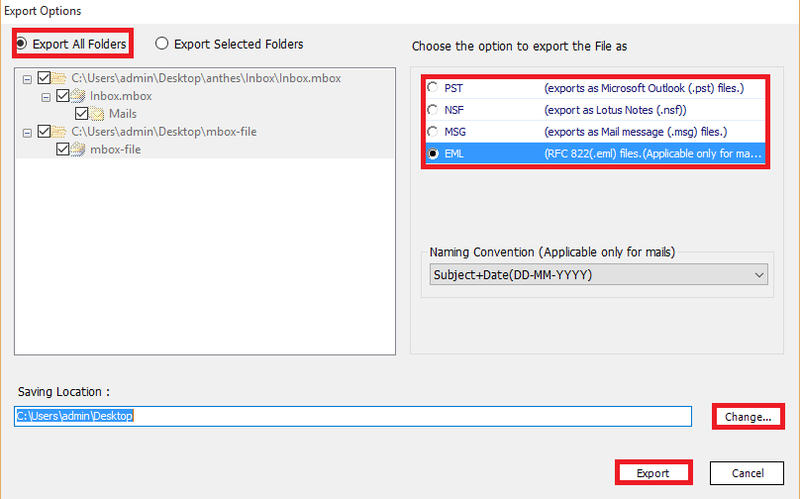 Export MBOX File emails to EML along with associated Attachments. Detect the location of configured email client data automatically. Compatible with Microsoft Windows 10/ 8.1/ 8 and all below versions. With the help of this MBOX to EML converter, a user can migrate MBOX files to EML format. It also allows users to convert multiple MBOX files to EML format in batch. Moreover, it recovers corrupt MBOX file and restores deleted emails also without any issue. 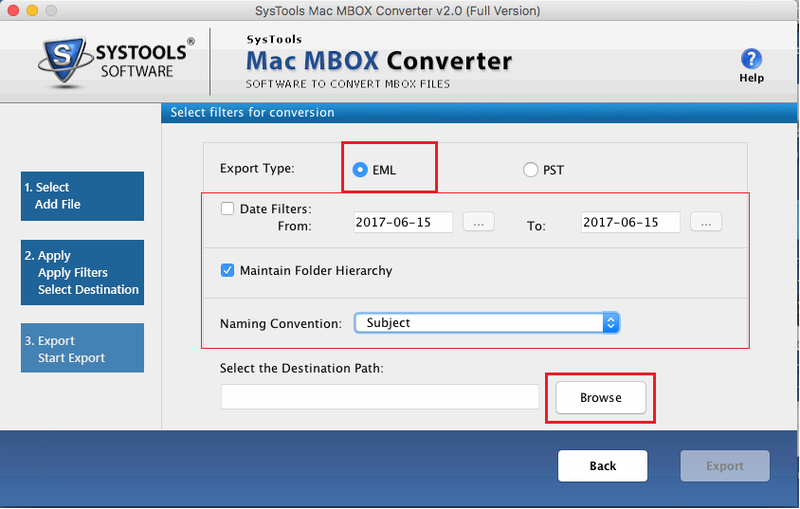 The MBOX to EML converter tool has the ability that it will automatically detect the MBOX supported email client on the system. A user need not to look for the MBOX file, just select the email client. The tool exports all data stored in that email application to EML format. In order to recover corrupt MBOX file, a user is suggested to use this MBOX to EML file Converter. It first recovers the MBOX file emails along with attachments and then, export it to EML format. In addition, it does not compromise the integrity of the data even after migration. A user can simply convert selective emails from the MBOX file without any trouble. One just needs to choose the emails and right-click on it to export it to desired EML file format. Moreover, a user can also check or uncheck the folders to migrate selective folders to EML format. While converting MBOX to EML format, the software provides an option to save the resultant EML file at any desired location. In addition, a user can choose a particular naming convention also to manage all exported emails in a simpler way. For example, save file as subject, DD-MM-YYY, MD5, Auto incremental, etc. The Software generates the complete report containing all the details like source of conversion, data items like emails, contacts etc and the destination location all at one place. The progress of conversion process can also be seen in this report. 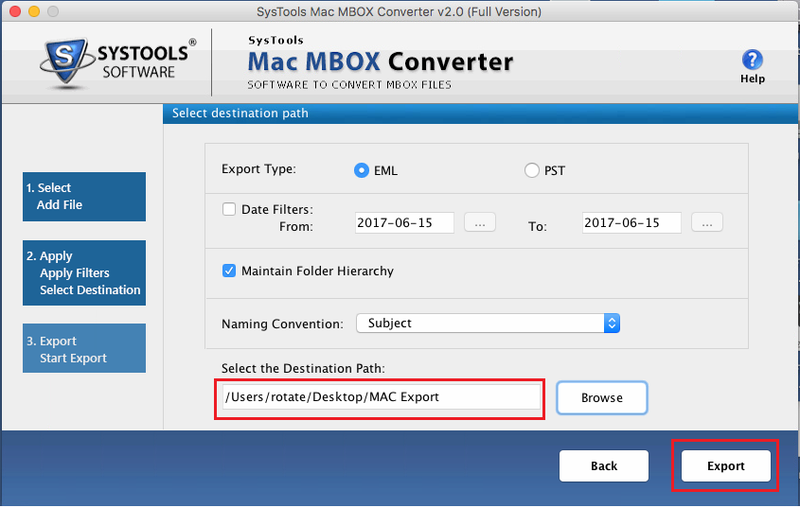 In order MBOX to EML Converter for Mac is designed to export MBOX file to EML format. It allows the users to transfer one or more Mac .mbox files to .eml format associated with email attachments. However, it offers a unique feature to retain the folder hierarchy, inline attachments, HTML formatting remain same even after performing the conversion from Mac MBOX data.This utility is only developed for Mac Operating system. Allow to migrate multiple Mac MBOX files to EML format. Maintains the integrated structure of mail during migration. Retain the HTML Formatting & Inline Images in Email Body. Compatible with Mac OSX 10.10 and its later version of Mac. Offer File Naming Convention and Message Filtering features. 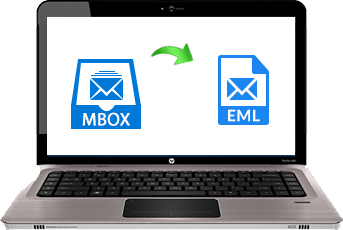 Mac MBOX to EML converter is programmed to render the successful conversion of emails from MBOX files to EML format on Mac machine. This software can easily transfer one or more emails into an individual EML type separately. The tool is capable to allow the users to perform file conversion of a large number of Mac MBOX files. Although a separate folder for each .mbox data files created if a user selects "Separate Folder" option and also creates one single folder for all Mac MBOX files. Each mail contains the message properties which include different information of every attribute such as cc, bcc, and other header information & attachments. Also it ensures to convert emails along with the retained properties. Mac MBOX file to EML converter tool provides mail filtering option so that they can filter their emails from Mac MBOX according to the particular date range. Also, the users can filter all email messages to be kept for specific duration which is required. While saving each email the users can decide the naming pattern to save their emails as per the preferred date, subject, to, cc etc. Moreover, the software is capable to run on Mac OS 10.10 and their latest version. MBOX files are created from the specified operating system also. With MBOX mailbox to EML the users allow to maintain the folder structure, inline mail attachments, HTML formatting and all will remain same after performing the conversion from Mac MBOX to EML type. The folder structure is maintained while converting each email message to .eml format file. Apple Mail is very famous email client just as EML is also very famous file format that many email clients supports to import and export. This conversion keep to safe attachment during the migration from Apple mail to EML. If you need to approach the Mac Mail files on other email client then, you will have to realize that the EML file will be completely inaccessible due to compatibility issues thus, transition from Mac mail to EML file will be very beneficial for user. During the process of conversion software will preserve all the meta information of Entourage mail To, cc, bcc, attachments, messages body etc. No any special skills are required to perform the Entourage mailboxes to EML file. Entourage mac mail save all the emails in (.MBOX) files if you are using Entourage email to EML. Convert single or multiple Thunderbird mail files into EML format. Thunderbird email client supports both POP and IMAP for converting Thunderbird mailbox data into EML file format with complete items. Now it is easy to import Thunderbird mail into EML. This utility has the simple user interface that’s makes you able to perform easily and simply from Thunderbird Mailbox to EML Conversion. This Software allows the batch conversion of .mbx files to EML file format. 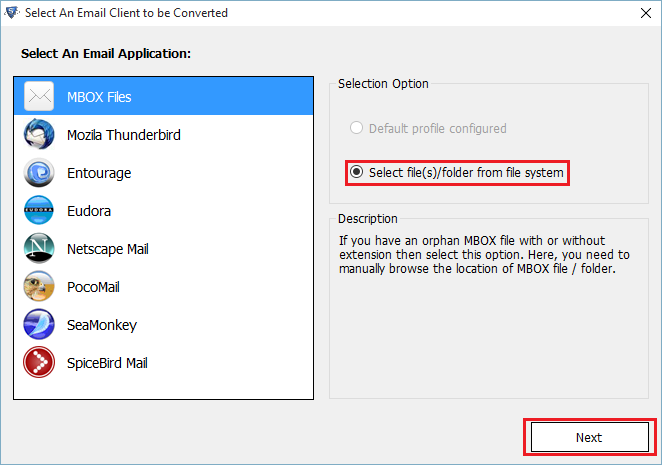 It provides the option to select one mbx file at a time with option to select Eudora MBX file. The software will convert the email attachment even they are hundreds of them and also keeps them into integrated within the emails. It perfectly converts emails with all email address also stores data into desired location to perform easily & quickly. Thanks to this MBOX to EML converter for exporting all my MBOX file in just a few number of clicks. It was a great experience while using this utility. Moreover, the user interface is also really simple and there is no difficulty for using this tool. The selective export feature of this tool is really amazing. It prevent moving of unnecessary data items and saves lots of time. I must appreciate the work done by the developers while developing such an ultimate utility. Past 2 years, I was planning to export data from Thunderbird MBOX to EML file format. But I was not getting the the complete efficient outputs when moving all MBOX files in just a few clicks. After knowing about this wonderful application from the social networking sites, I came to know about MBOX to EML converter which helped me a lot to complete the conversion process. This tool is a trouble-free solution to export emails along with attachments in EML format. Great invest of time!! 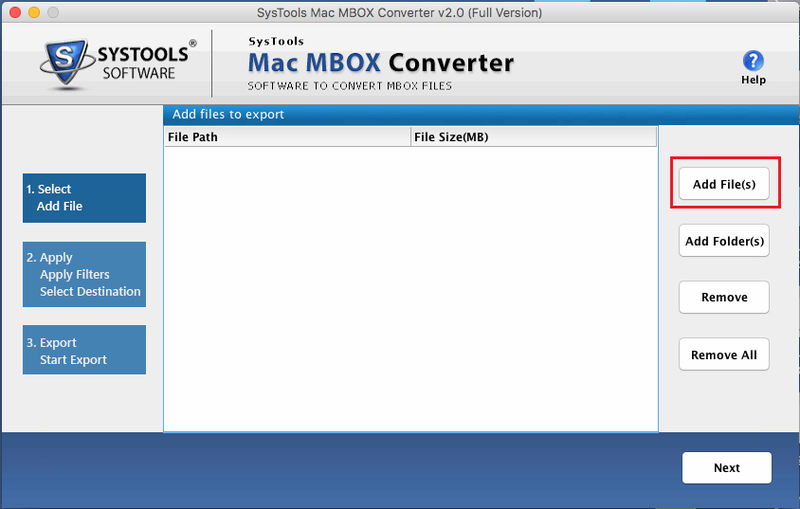 I want to say that MBOX to EML converter is one of the best solution for converting MBOX files to EML type. Moreover, it permits to perform the bulk conversion from MBOX to EML format at once. It really works great and it is suggested to all users who are looking for the relevant data conversion MBOX to EML file type. I genuinely liked this amazing software for creating the migration product. Thanks to developers for such a reliable and robust tool. 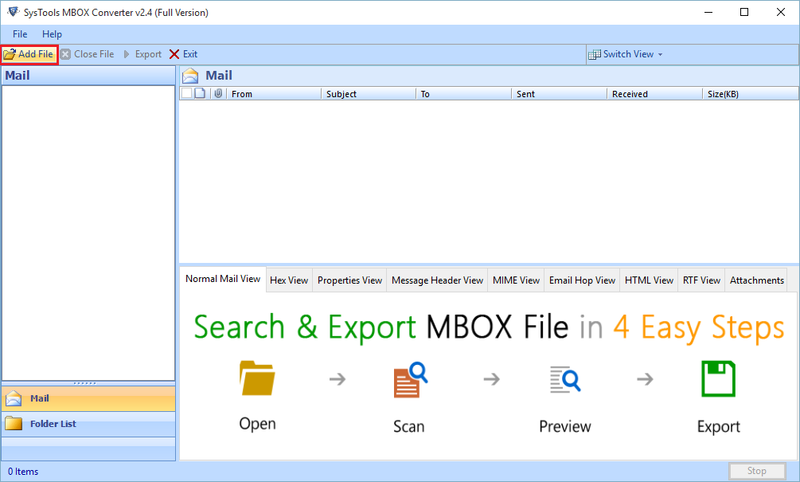 MBOX: It is the most commonly used desktop-based emails client file format. 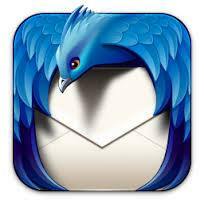 It is supported by a number of email applications like Mozilla Thunderbird, Netscape, SeaMonkey, Eudora, etc. 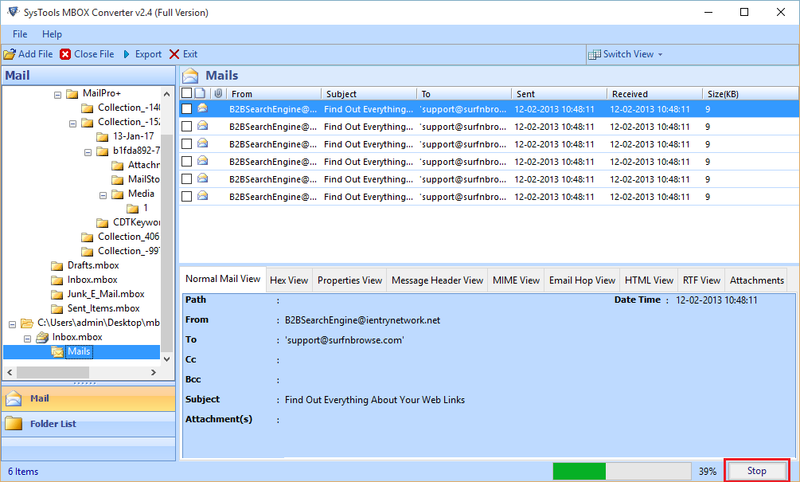 It is used to store all emails messages of a particular mailbox in one single file that can be opened using the editor. EML files: It is another file format used to store email messages in Microsoft Outlook and some other email applications. It contains plain ASCII text for the email headers along with main message body, headers, hyperlinks and email attachments. Most of the users are nowadays searching for the solution to export MBOX file to EML format. The main reason due to which users want to convert MBOX files to EML files format is that it less prone to corruption compared to others. Moreover, it helps in the case when a user needs to switch from Mac supporting email application to Windows OS. Thus, it becomes necessary for the users to export MBOX emails to EML file format. MBOX to EML Converter is the foolproof, effortless solution to do the same. It supports MBOX file of all email application like Thunderbird, Eudora, Apple Mail etc. and migrate them to EML format. Moreover, it allows to maintain the HTML formatting, inline image, and folder structure after performing the conversion process. The software to export MBOX files to EML is designed in a way that it provides an easy migration of MBOX emails to EML. Moreover, it does not require any extra installation to perform the migration.